The UIDAI or Unique Identification Authority of India, the issuer of 12-digit personal identification numbers under the Aadhaar programmer, offers a variety of services online. Through its “self-service portal”, uidai.gov.in, the UIDAI enables users to verify their Aadhaar number (UID), verify the email address or mobile number registered with Aadhaar, and lock or unlock the bio-metrics information associated with an Aadhaar, among other facilities. 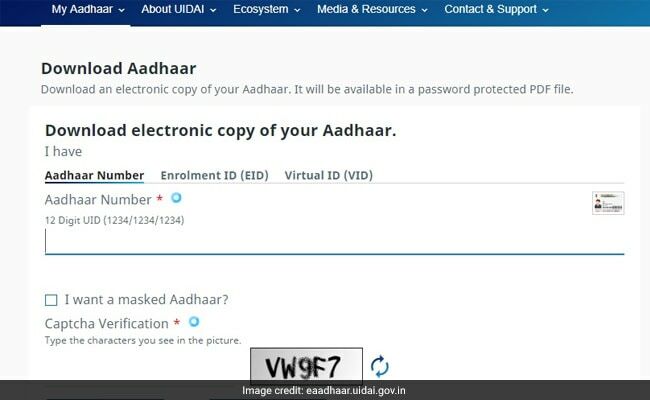 One of these online facilities on the UIDAI portal enables Aadhaar holders to download a digital copy of the Aadhaar card, which contains the 12-digit personal identification number along with other details. The user is required to have a mobile number registered with the Aadhaar programmer to be able to access Aadhaar services such as verification of Aadhaar number as well as the email/mobile number registered with Aadhaar and locking/unlocking of an individual’s bio-metrics-related information on Aadhaar, according to the UIDAI’s website, uidai.gov.in. 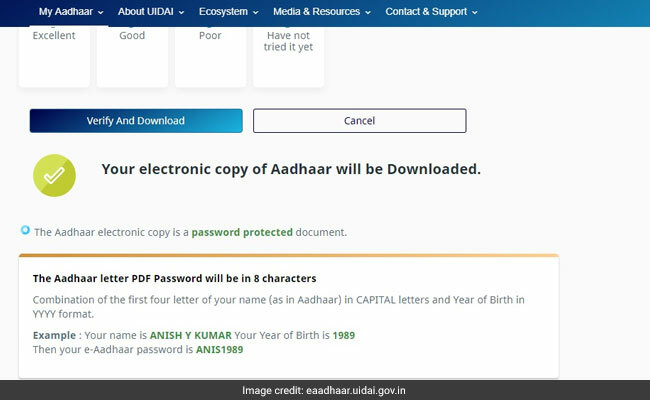 On the UIDAI portal, the user is required to proceed by clicking on the “Download Aadhaar” link. On the following page, the user is required to enter details such as the Aadhaar number, the enrollment ID (issued against enrollment to the Aadhaar programmed) or the virtual ID. After this step, a one-time passcode (OTP) is sent to the user on the registered mobile number (this is the mobile number registered with the Aadhaar programmed). The user is required to enter this number in the given space and click on the “Verify and Download” option to proceed. On successful completion of the process, the digital Aadhaar is downloaded on the device. The user can access the document by entering the password as per the instructions given by the UIDAI. In order to update a mobile number registered with Aadhaar (Aadhaar-registered mobile number), the user is required to visit an Aadhaar Kendra (Aadhaar centre), according to the UIDAI. A page with title “Aadhar Self Service Update Portal” will open. Enter your 12 digit Aadhar number. Now enter the Text Verification number (already shown on page – also known as Captcha). Then click on Send OTP. On the next page, enter the OTP that was sent to your existing mobile number. After that, a new page asking for Details to be Updated will appear. Verify and Proceed and Note down the URN you will see or take a print out.